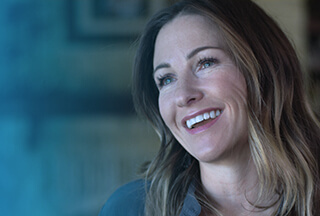 Software Quality Engineer at Dell Inc.
Dell provides the technology that transforms the way we all work and live. But we are more than a technology company — we are a people company. We inspire, challenge and respect every one of our over 100,000 employees. We also provide them with unparalleled growth and development opportunities. We can’t wait for you to discover this for yourself as a Software Quality Engineer on our Storage Integrated Offerings team in Shanghai, China. Our Software Quality Engineering team ensures that our next-generation software is of the highest quality. We conduct a wide range of quality control tests and analyses to ensure that our software meets or exceeds end-user requirements. We debug software products, oversee the development of test plans, ensure system tests are documented, analyze the results, provide feedback to developers and make sure that all problems are resolved. We also select testing specifications for new products and ensure testing procedures comply with industry-specific standards. Participate in the validation of quality software that integrates storage and ecosystem technologies. Work with product owners and engineering leads to understand use cases and features and create corresponding test plans. Develop automated tests to validate product features and improvements, working with Scrum teams to coordinate test efforts. Deliver test results in alignment with quality initiatives, including product certifications. Work with developers and test engineers to ensure proper coverage and delivery of high quality products. Up to 1 year of experience in software quality engineering. Experience in multiple languages and test frameworks. Experience interfacing with REST APIs. Operates with agility and adapts to technologies and processes quickly. Familiar with Atlassian tools such as Confluence and Jira. Experience working with Git and/or GitHub. Experience working with storage platforms. Experience using test automation frameworks such as Selenium and Robot Framework. Experience working with automation or orchestration platforms such as Ansible or Puppet. Experience working in an agile environment using the Scrum process.